The 13th edition of the Volvo Ocean Race starts in October 22 in Alicante, Spain and will finally finish in The Hague, the Netherlands, by June 2018. From start to finish the teams will sail 45,000 nautical miles around the world, crossing four oceans, touching six continents and twelve landmark Host Cities. 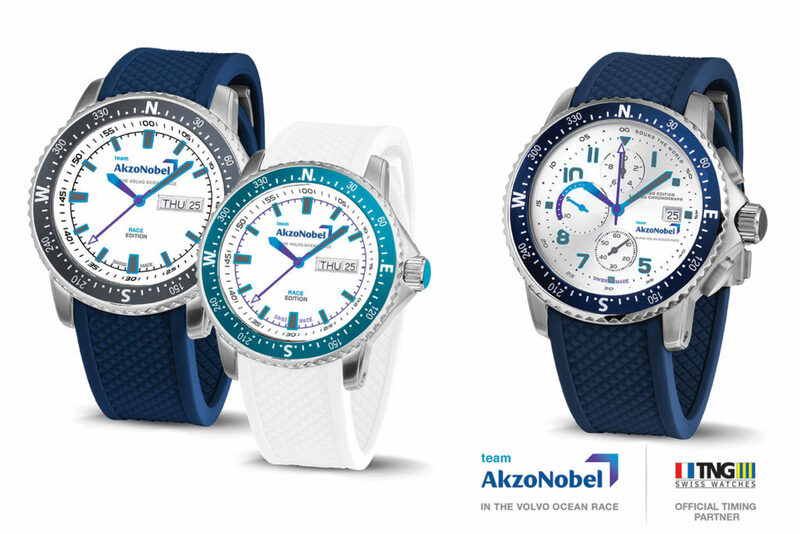 To mark the participation of team AkzoNobel in the Volvo Ocean Race, we have designed an official team AkzoNobel Watch Collection. The collection contains three Limited Edition models; team Sports Gents, team Sports Lady and team Sailing Gents. These Dutch designed, Swiss made nautical sports watches are decorated with the official colors and symbols of team AkzoNobel in the Volvo Ocean Race.